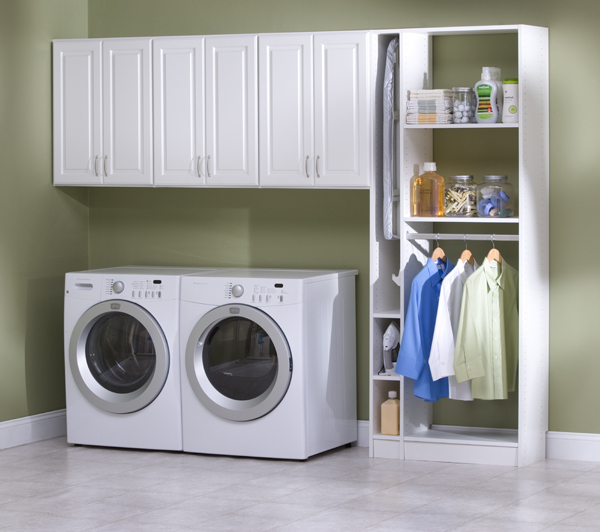 Custom laundry room organizers built in Boston including shelving, cabinets and storage for cleaning supplies. Do you desire a more organized working area in your laundry room? Are you tired of wading through a sea of clothes on the floor? Is the top of your dryer the only usable “counter space” in the room? If you answered yes to any one of these questions, it’s time to consider streamlining the laundry area with the help of the Boston Closet Company. Even if your laundry room is so small you cannot imagine anyone being able to improve the storage space, give the Boston Closet Company an opportunity to prove otherwise. We can take the tiniest of rooms and double, even triple the available storage space. That’s thanks to the innovative designs that we have been developing and perfecting for several years. Contact us today for your FREE custom laundry room consultation. Each of our designers are skilled, experienced and always on time for appointments.